The Museum’s grounds cover 19 acres on the Mystic River in Mystic, CT and include a recreated 19th-century coastal village, a working shipyard, formal exhibit halls, and state-of-the-art artifact storage facilities. The Museum is home to more than 500 historic watercraft, including four National Historic Landmark vessels, most notably the 1841 whaleship Charles W. Morgan, America’s oldest commercial ship still in existence. The Museum hosts 250,000 visitors annually and has an active membership base of 16,000 from all over the Unites States and the world. A stroll through the historic village transports visitors back to the mid-1800s where they can experience firsthand from staff historians, storytellers, musicians, and craftspeople just what life was like to earn ones living from the sea. In the Henry B. duPont Preservation Shipyard, they can watch shipwrights keeping the skills and techniques of traditional shipbuilding alive as they restore and maintain the Museum’s watercraft collection. To share the experience this physical record represents, Mystic Seaport employs a diverse staff of scholars, librarians, historic interpreters, educators, scientists, musicians, and skilled artisans. The Museum’s educational philosophy has three parts: onsite, onboard, and online. 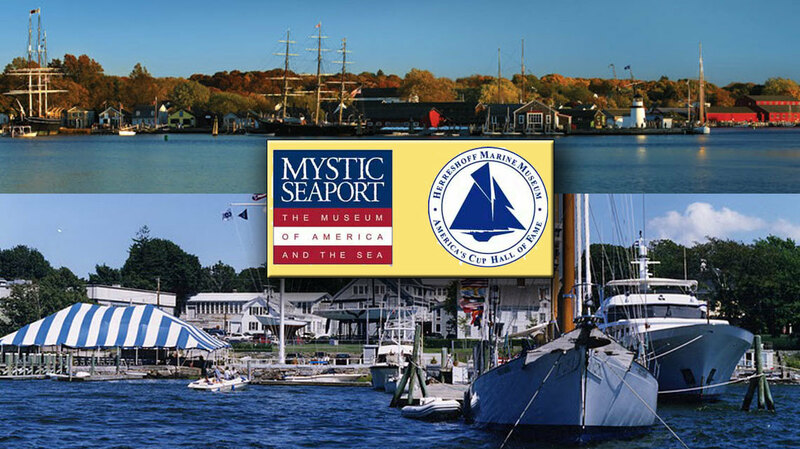 Students at all levels are invited to come to the Museum to participate in a unique learning experience, whether as part of an elementary school field trip, a college semester with the Williams-Mystic Maritime Studies Program (a partnership with Williams College), or a graduate seminar with the Munson Institute. Sail training is conducted onboard through Community Sailing Programs or on a voyage aboard the 1931 schoonerBrilliant. The Museum has also developed an innovative Online Learning Center, where students and educators can utilize digital access to the collections to help shape new learning tools and bring the American maritime experience into their classrooms. For more than 80 years, visitors, students, and scholars have turned to Mystic Seaport to preserve and interpret America’s maritime experience. The Museum’s commitment to that mission is as strong as ever.